27/36 City/Highway MPG Headquarter Mazda may be a brand-new dealership, but we come from a proven, family-friendly dealership background. We look forward to meeting you, showing you our inventory, and helping you drive off with a car you’ll love! 33/25 Highway/City MPG The 2018 Mazda 3 brings everything that you want in a sporty hatchback together into one. Equipped with an array of Mazda's SKYACTIV Technologies, you find great fuel efficiency and power from the 2.5-liter SKYACTIV-G gasoline engine. Standard on all Mazda vehicles, you'll find Mazda CONNECT, Mazda's infotainment system offering a 7-inch touchscreen display, Mazda's Multi-Function Commander Control Switch, Bluetooth and a wide-angle backup camera. Easy access with Mazda Advanced Keyless Entry and push button start offers the convenience that you would expect from Mazda. Standard on the Touring model, you'll find Advanced Blind Spot Monitoring with Rear Cross Traffic Alert, dual-zone automatic climate control, 6-way power adjustable driver's seat, leatherette-trimmed sport seats, and much more! Additionally, this Mazda 3 Hatchback is equipped with Mazda's Bose/Moonroof/Satellite Radio Package which adds a power sliding moonroof, a top of the line Bose 9 speaker surround sound system, and SiriusXM Satellite Radio. Headquarter Mazda may be a brand-new dealership, but we come from a proven, family-friendly dealership background. We look forward to meeting you, showing you our inventory, and helping you drive off with a car you'll love! ABS brakes, Active Cruise Control, Alloy wheels, Dual Zone Automatic Climate Control, Electronic Stability Control, Front dual zone A/C, Illuminated entry, Lane Keep Assist, Low tire pressure warning, Remote keyless entry, Traction control. 26/35 City/Highway MPG Headquarter Mazda may be a brand-new dealership, but we come from a proven, family-friendly dealership background. We look forward to meeting you, showing you our inventory, and helping you drive off with a car you’ll love! On the hunt for a new Mazda for sale in Clermont? 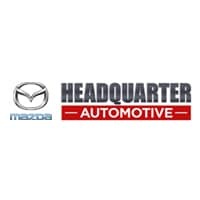 When you shop at Headquarter Mazda, you’ll have an extensive new vehicle inventory to choose from. Whether you’re looking to get behind the wheel of a family-friendly Mazda CX-5 SUV or a sleek and stylish Mazda6 sedan, there’s something for you on our lot. And whatever model you choose, our sales staff will be there to assist you every step of the way. When you’re ready to explore our new Mazda SUVs and Mazda cars, visit us near Winter Garden for a test drive! After you browse our online Mazda inventory, be sure to visit us near Windermere to explore your favorite model in person! Feel free to contact us for more information at your leisure to learn the latest from Mazda, or check out things to explore in Clermont, like the Florida Citrus Tower!